Schenker referred, of course, to the Japanese air attack on the United States naval station at Pearl Harbor. The bombing destroyed eight US Navy battleships, four of which sunk. 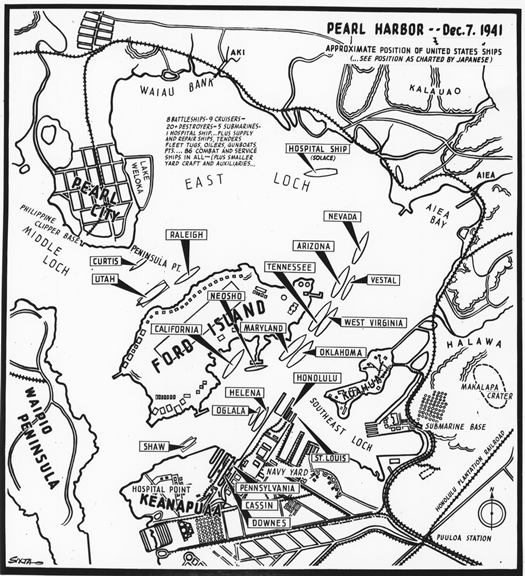 Over 2,400 Americans were killed and 1,282 were wounded, in what President Franklin Roosevelt declared “a date which will live in infamy.” The events of December 7 also served as a turning point. 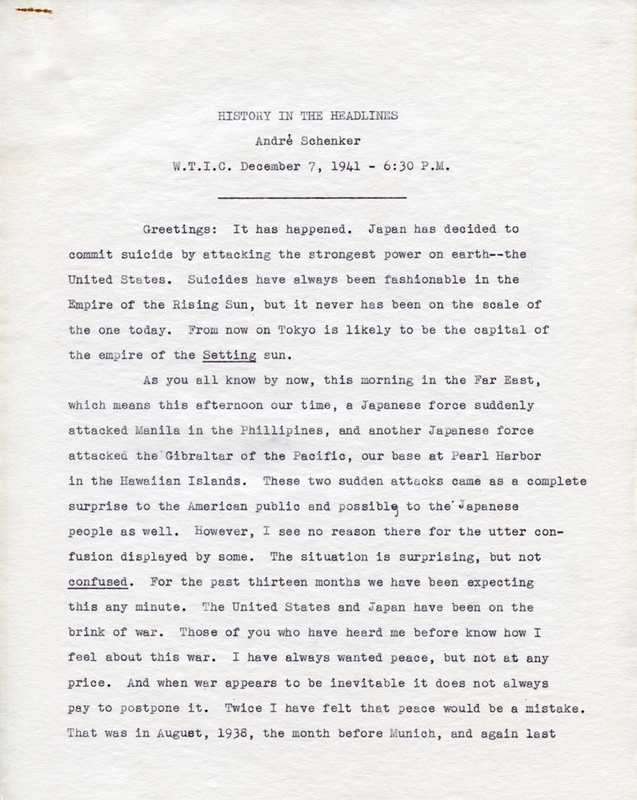 On the next day President Roosevelt called on Congress to declare war on the Empire of Japan; they complied almost immediately. A few days later, Germany and Italy declared war on the United States. The United States was now at war on two fronts. Contributed by Laura Smith, Curator for Business, Railroad, and Labor Collections at the University of Connecticut Libraries. “A Guide to the Andre Schenker Papers.” University of Connecticut Libraries, Archives & Special Collections, Andre Schenker Papers, 2016. Link. Schenker, Andre. 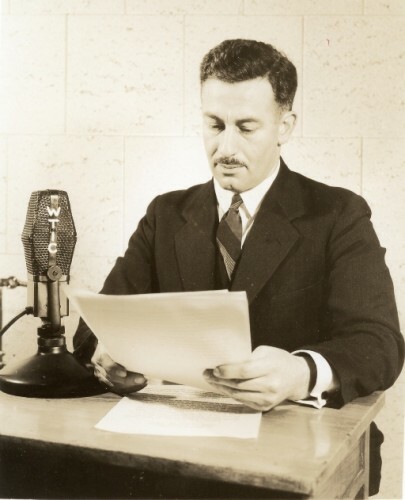 “Recording of Professor Schenker’s Radio Programs - History in the Headlines, December 7, 1941.” WTIC; University of Connecticut, n.d. University of Connecticut, Archives & Special Collections at the Thomas J. Dodd Research Center. Link.